Goodwill industries based in Southern Oregon is one of the parts of Goodwill Industries International, which is a non-profit company offering employment placement services, job training, career services, and other community-based programs for families and individuals, who are facing difficulties like homelessness, welfare dependency, lack of work experience or education. It also offers services for those, who suffer from mental, physical and even emotional disabilities. The company offers employment to over 1400 people every year and the company gets its finances from a chain of thrift stores that run as non-profit organizations as well. These stores offer quality goods at affordable prices. 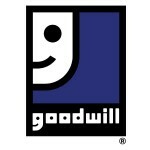 There are currently 1 consumer reviews about Goodwill available. Share your review. These last 3 weeks of retail associate interviews made for some pretty funny stories! Thank you for that anyway! Good practice for the real world! No hard feelings!